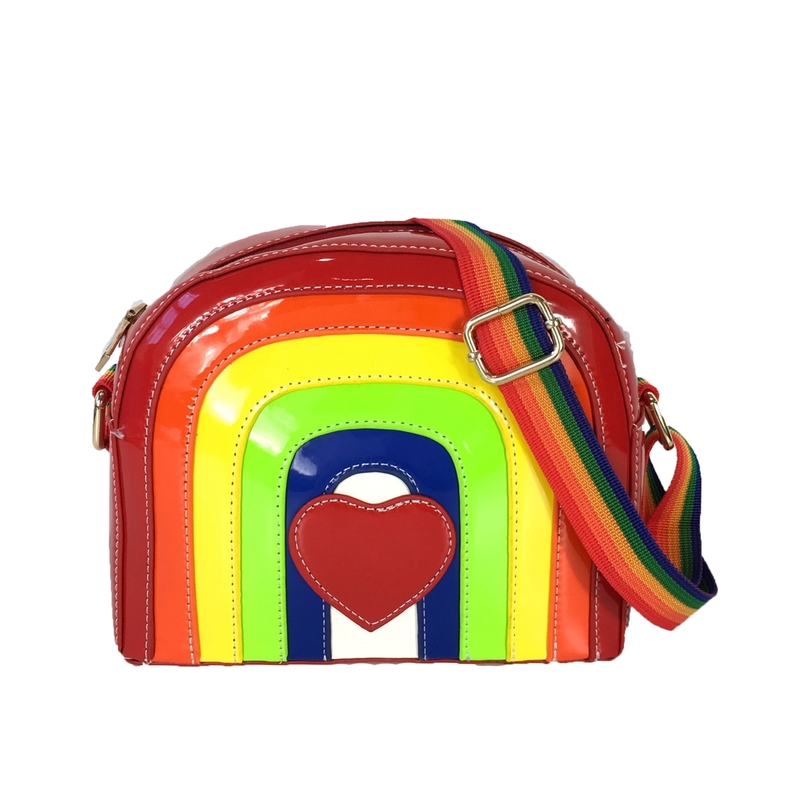 Add a bright, colorful cheery presence everywhere you go carrying the 'I Heart Chasing Rainbows' rainbow crossbody. 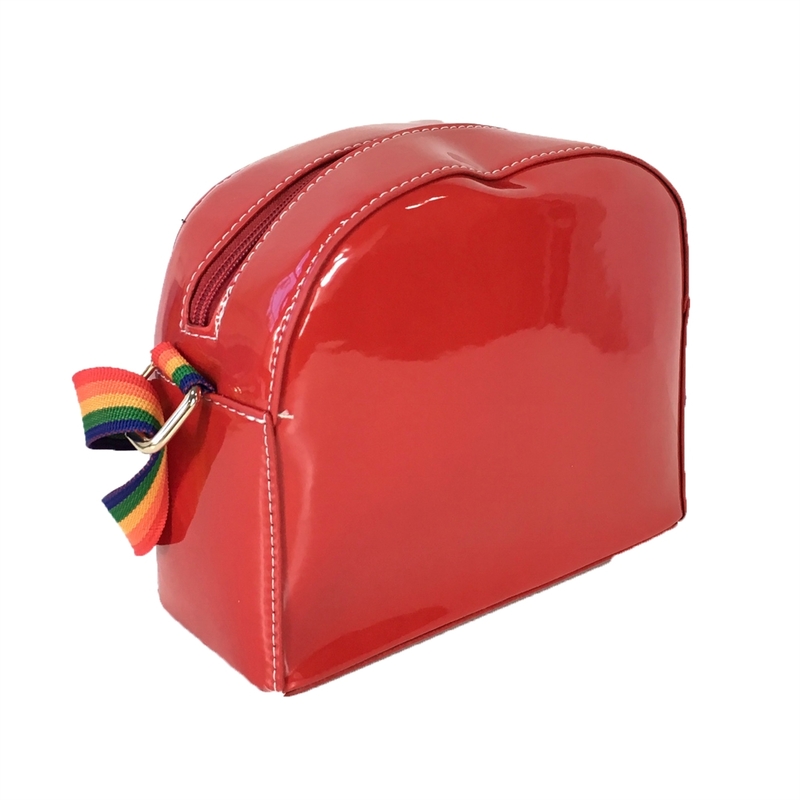 Crossbody bag in synthetic patent leather. Front features a colorful rainbow motif & heart. 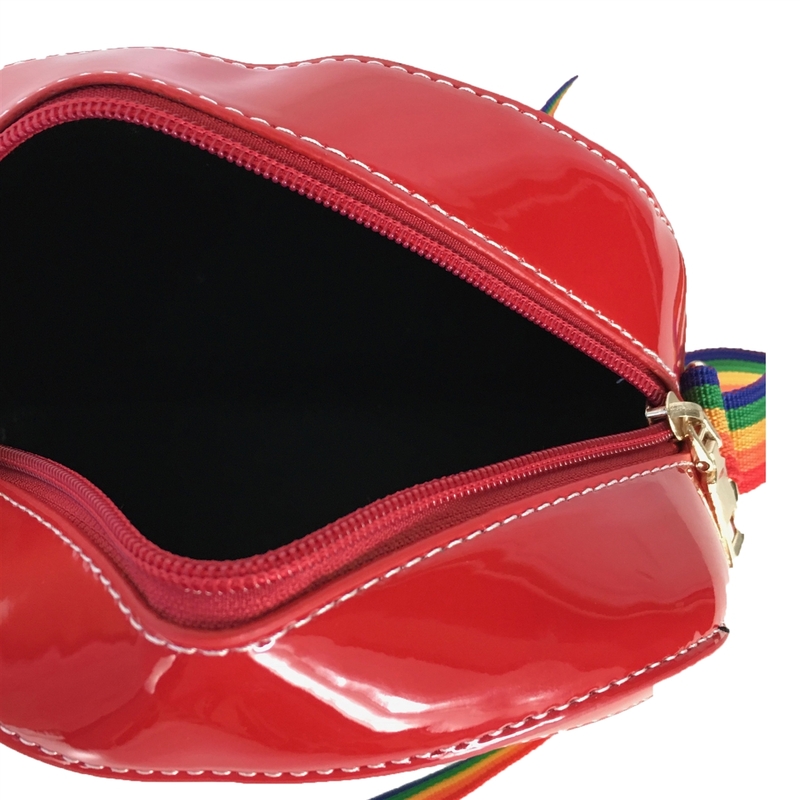 Rainbow canvas webbing fully adjustable crossbody strap to 20"
Zip top closure. Lined. Interior slip pocket.